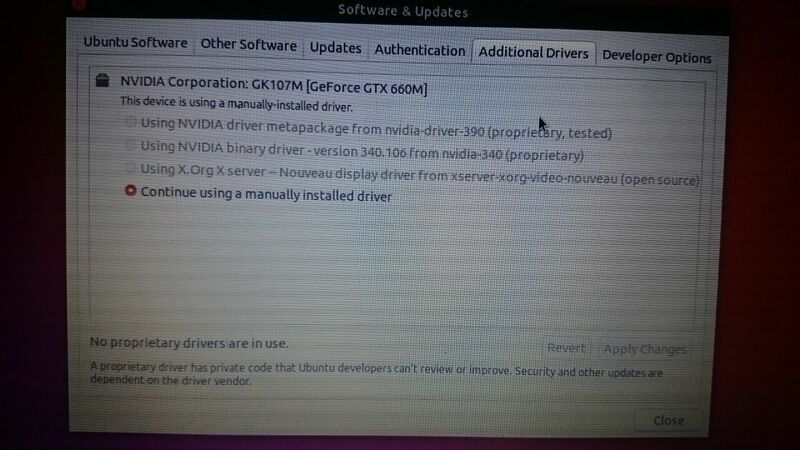 so after successfully installing the driver I rebooted the system but nothing was changed, I still unable to change the brightness and also can't change between the Intel graphics and Nvidia using the Nvidia X server configuring program so I deleted the driver and tried manually installing it from Nvidia website but I got the same result with no luck but when I tried to change the installed driver from software and update center I got a new option saying continue using manually installed driver and the other options were disabled (see the picture) screenshot2so I had to remove the installed driver using the terminal (I did this using purge Nvidia*) then tried to install an old driver (Nvidia driver 340) but after rebooting the system was unable to boot up so removed driver and now I feel frustrated because I don't know what to do. I would highly suggest installing the latest NVIDIA driver through apt package manager. 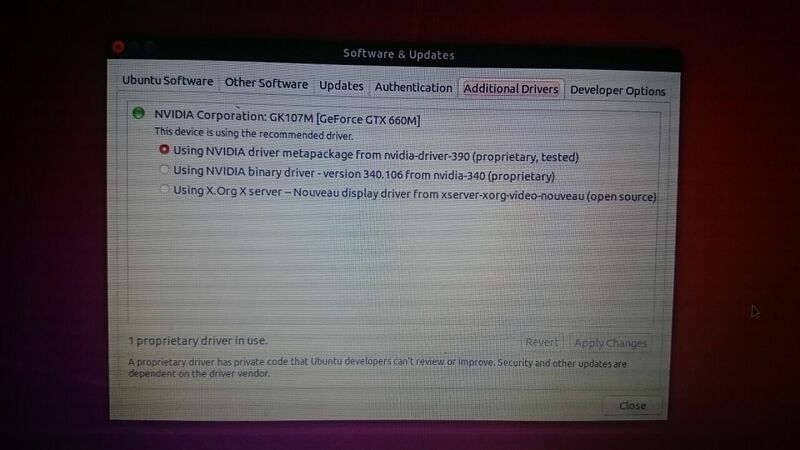 Please note that it is nvidia-driver-396 on Ubuntu 18.04, it is nvidia-396 on Ubuntu 16.04 but you are not using 16.04. Not the answer you're looking for? Browse other questions tagged drivers nvidia graphics brightness or ask your own question. What driver should I use for my nVidia GTX 1080?